There are blogs with some ideas how to make it easier to deploy resources in multiple locations here, here and here. They did not anyways fill all my requirements. 3. 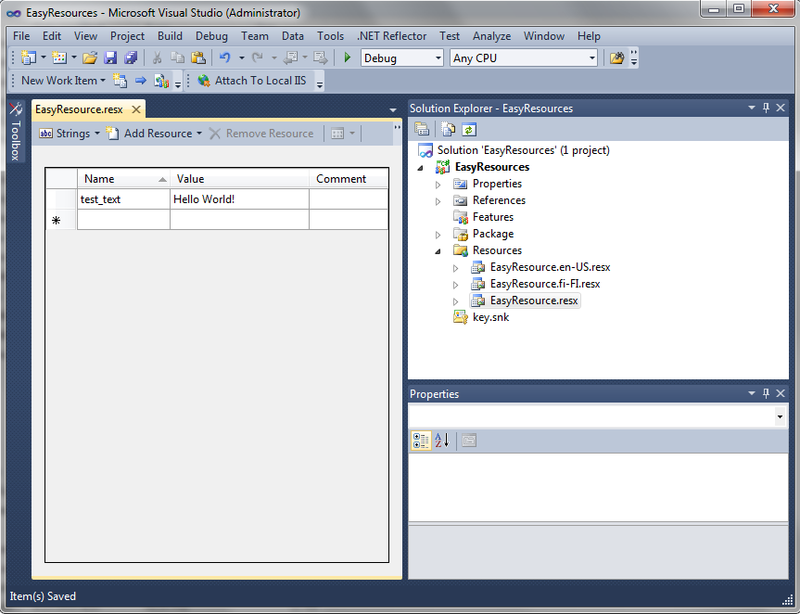 Edit the manifest.xml in visual studio. 4. To have “Resources” subfolder inside App_GlobalResources folder. With the help of the blog post above, I managed to create solution where you only keep one copy of the resource file and that it is easy to manage and easy to deploy to the whole farm. If you add new resource files later remember to update this file too. Build and deploy, all resource files will be deployed to 14Hive and WebApplication. When editing the resource files, just a normal Update-SPSolution command with PowerShell will update the resources to the whole Farm. I hope this helps someone struggling with the manual copies or other hacks with deployment of resource files. I noticed that when using Visual Studio 2012 with Office Developer tools for SharePoint 2013, this might crash your Visual Studio 2012 on publish with a NullReferenceException. 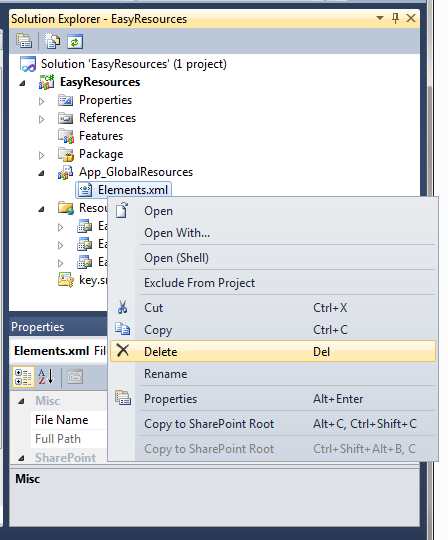 In that case, you can try leaving the default Elements.xml file under the App_GlobalResources folder. The file should have at least an empty element in it, but it doesn’t need anything else. 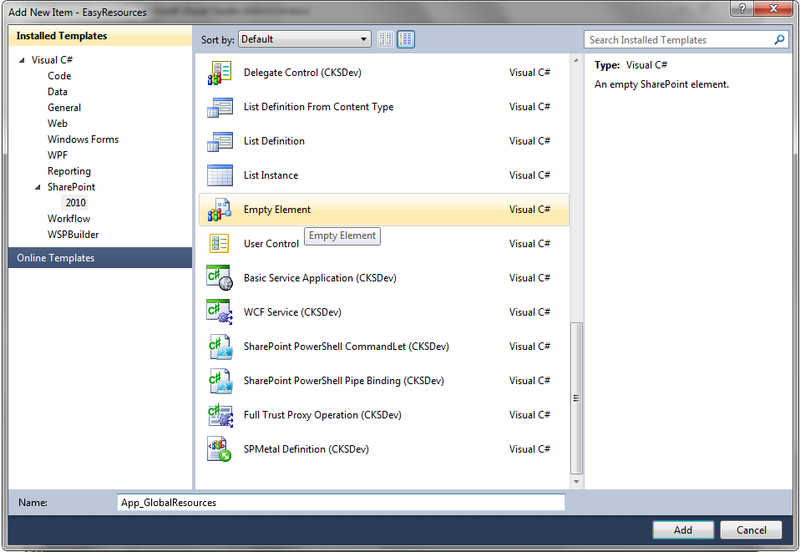 That will, however, cause Visual Studio 2012 to warn about the file being added as a package-level element manifest. 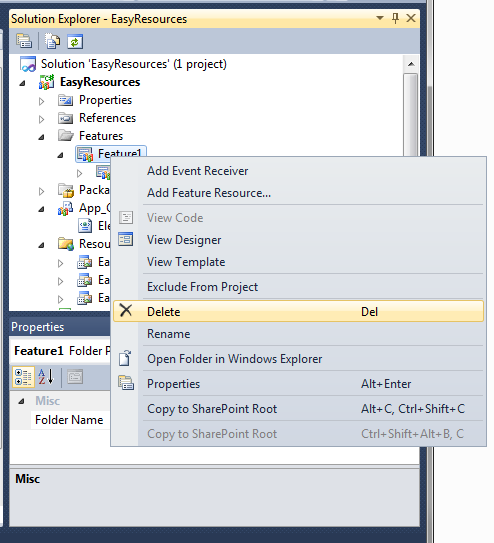 You can then set the deployment type for that file as NoDeployment, and things will still work! So it looks like the build just checks if there’s an XML file with an tag inside it, and if it does find one, it’ll be happy. Do note, that the Office Developer Tools preview version didn’t crash this way, it only started doing it with the final release. You made it to MSDN-blogs.